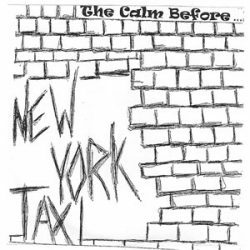 If New York Taxi goes on to be a hugely successful band, fans will probably look back at The Calm Before and say “Hey, their second album wasn’t bad. 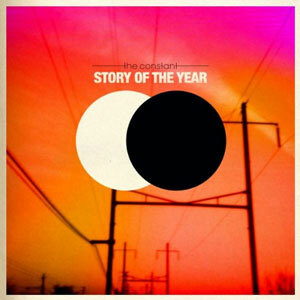 It’s kind of nice.” The punk/folk/acoustic duo isn’t there yet, but they’ve got a nice sound that suggests potential. 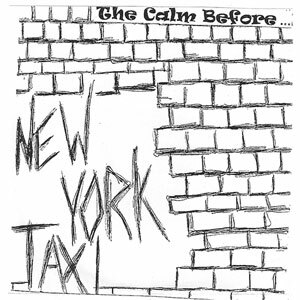 The Calm Before is only five tracks. The songwriting is solid, and the duo gets a lot of mileage out of only one guitar, two voices, and a little looping. There’s an occasional keyboard in there, too. The male-female alternating or layered vocals are nice, and there’s never an unpleasant measure. But there’s nothing memorable, nothing you have to play again, nothing that gets your heart beating. It’s nice though. It’s a nice album. Track 1, “And Now Our Feature Presentation” opens with a George W. Bush sound clip and rambles a bit before a not-very-insightful chorus of “We’ve been misled, we’ve been shut down… we’re going to stand up, we’re going to fight back…” Certainly not a unique or otherwise fresh perspective. Maybe that’s the problem with the album: a slight lack of maturity in the lyrics and overall sound. Track 2, “Jennarita” opens nicely with a sharp guitar riff underneath a little piano ditty. Ryan’s raspy verse complements Shannon’s cute-punk-girl chorus well, and it’d be a much more memorable song if not for a weak, abortive attempt at a grand finale in the track’s closing seconds. The last two tracks are nice. Track 4, “Firefly” would be nice background music for the montage in a high school movie where the guy is alone at a bus stop and the girl is at a party, distracted and looking at the moon while she thinks about the guy at the bus stop. Then the guy doesn’t get on the bus, heads back to the party, and it starts to rain just as the girl comes running toward him on the street. Track 5, “Humble,” would start playing when they see each other. Then they start dancing in the rain and go back into the party hand in hand. Which would be nice. It’s a nice album. And it’s short, which is nice. Three stars for being nice. Adding slightly distorted power chords and brutish drumming isn’t enough to make emo any less bland. “The Ghost of You and I” has a clever intro, but that’s about the only bright spot on this album. Fans of emo: surely you can find something better than this. If you miss Nirvana and have ADD –who doesn’t? 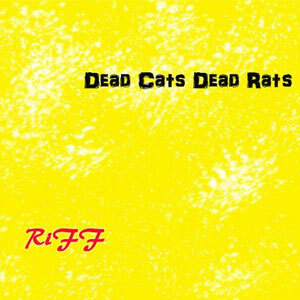 – check out Dead Cats Dead Rats’ latest album, Riff. The longest of the nine tracks clocks in at 2:52, and it all sounds more like 1989 Seattle than 2010 Massachusetts. The first five tracks are flat out good. They’re so good, in fact, that it takes a few laps around the album before you catch your breath and realize that the second half drops off a bit. Still, I’ve been listening to the album nonstop for a week now and I’m not skipping any tracks. Track two, “Chuncky” is arguably the best of the album. Opening with the line, “Radio wouldn’t play my song,” it does the soft/hard slow/fast dynamic to perfection, and coupled with Matt Reppucci’s screaming vocals, it’s easy to see why the name “Cobain” comes up in a lot of Dead Cats Dead Rats reviews. Dead Cats Dead Rats has a lot of talent and a great sound. Since their last release, they’ve gotten tighter and more polished without sacrificing any style or energy. Here’s hoping they keep doing that.